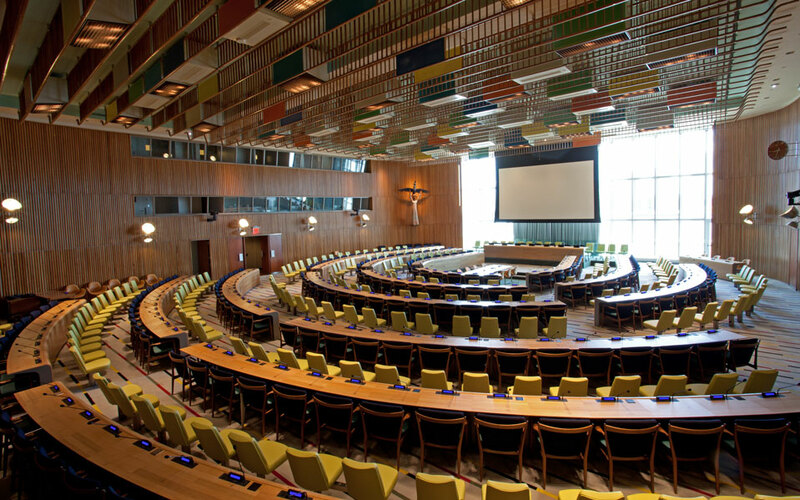 In 2011 the design duo Kasper Salto & Thomas Sigsgaard won a design competition under the auspices of the Danish Ministry of Culture, to design the furniture for one of the permanent chambers at the United Nations headquarters in New York, The Trusteeship Council Chamber. 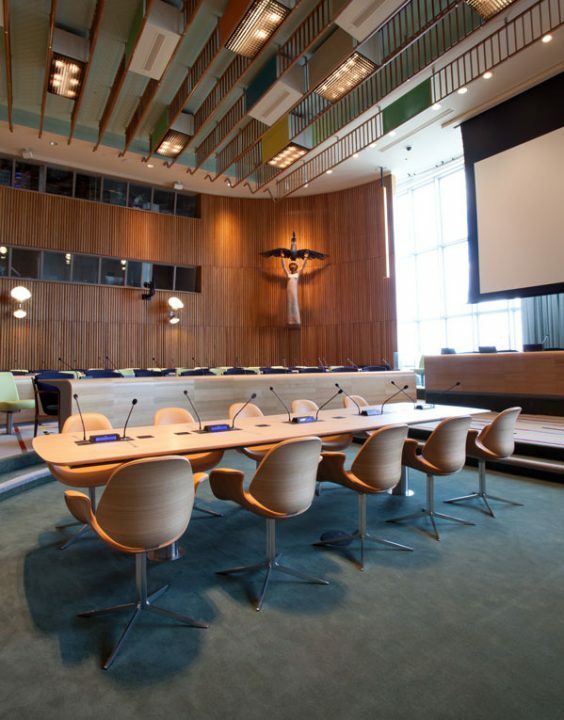 The same chamber was designed by Danish Architect Finn Juhl in 1951 as a gift from Denmark to the U.N. 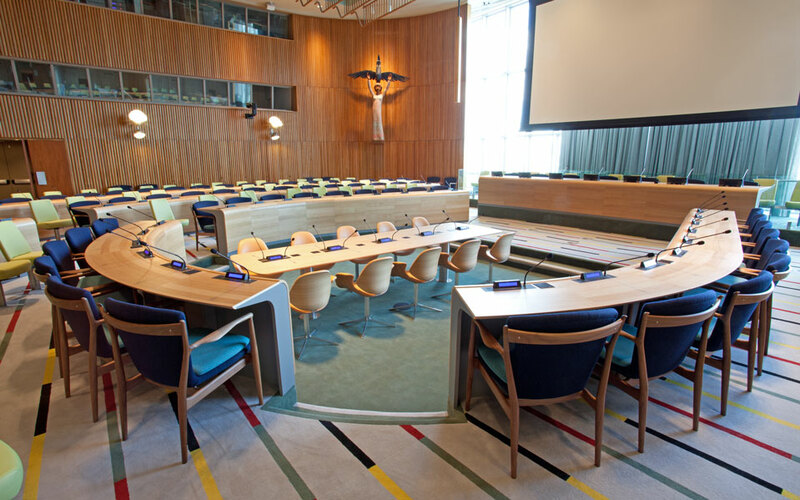 The chamber has become one of the most important ambassadors for Danish design abroad, and in connection with the recent renovations of the entire U.N. complex on Manhattan, Denmark again donated funds for a fresh design which keeps Finn Juhl’s design spirit alive. 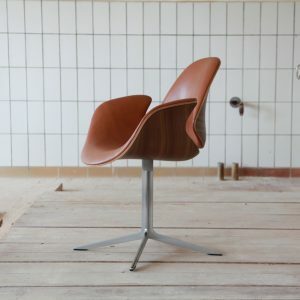 Onecollection has been tasked with producing Finn Juhl’s original chairs, the FJ 51, for the delegates. 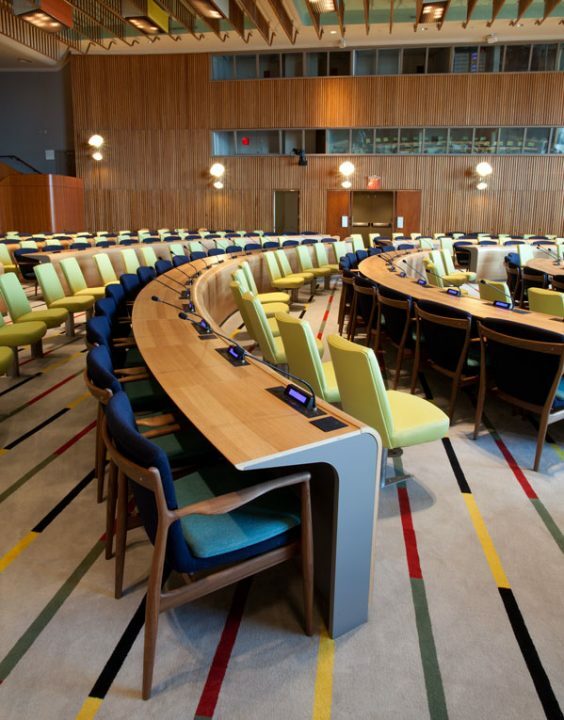 Furthermore, Onecollection together with the designers Kasper Salto and Thomas Sigsgaard has developed, produced and delivered completely new tables for the chamber as well as the unique and beautiful ”Council Chair”, which is now also launched for the global market. Both tables and chairs pass on the baton from Finn Juhl’s iconic design heritage in a sculptural and pleasant direction, which merges shape, colour and natural materials. 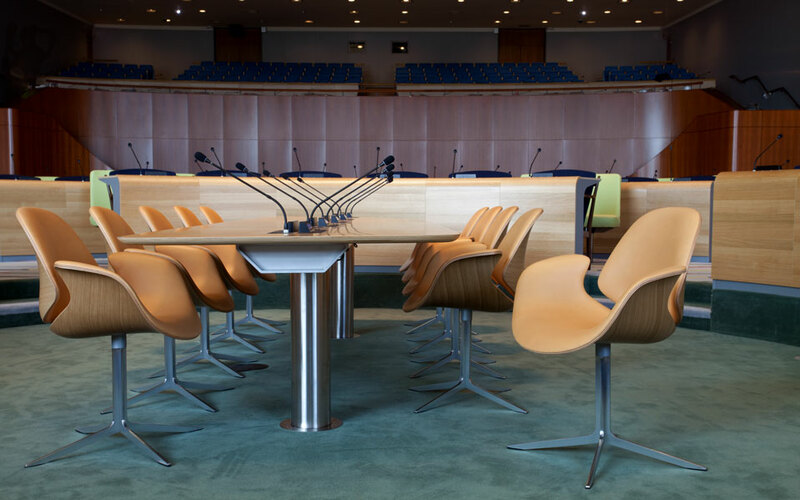 The chairs are a construction of moulded Reholz 3D veneer in oak, upholstered with leather. The swivel base is cast in aluminium. The Council Chair is now in production and is available in oak or walnut with customers choice of leather or fabric.